Quality journalism has been thrown up in discussions that search for measures to combat fake news on social media. Proponents argue that if quality journalism is boosted, the proliferation of fake news and its consumption can be mitigated if not overcome. However, it is unclear if the promotion of quality journalism alone is indeed an effective answer. 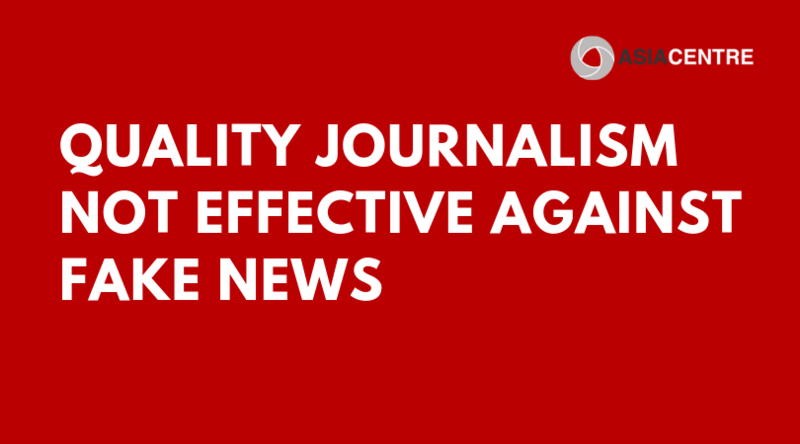 Emerging evidence suggests that quality journalism boosting is no match to the viral power of fake news over online platforms. In Southeast Asia, there is a trust deficit in traditional journalism or mainstream media in many countries due to government control. Even when there is media freedom, accessing quality journalism is an issue as it gets drowned out by mediocre media or political bias. With the rise of internet usage in the region, online media is consumed more than print media, television and radio. What’s more, in countries where the mainstream media is less trusted, trust in online platforms has become higher. 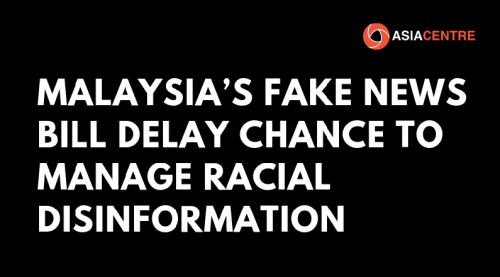 The 2017 Global Web Index shows that the number of people accessing mainstream media across Southeast Asia has dropped significantly and media content creation and consumption has moved online especially on social media, giving rise to fake news. 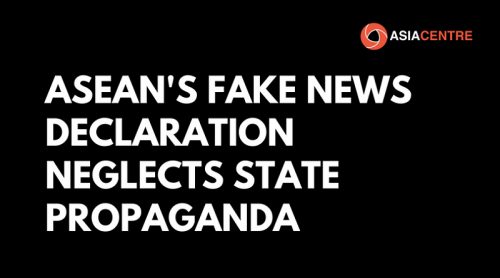 Responding to criticism that technology companies are complicit in the spread of fake news, several have announced measures to boost quality journalism or flag inaccurate content. Companies like Google say they fight fake news by elevating quality journalism on their platforms, in particular promoting accurate information during breaking news situations. Their solution via the search engine function is to rank news query results by relevance and authoritativeness. Facebook, on the other hand, is increasingly using local media outlets and NGOs as third party fact-checkers. Through this exercise, third party organisations flag or tag inaccurate content in the hope that readers will bypass them for quality journalism. Have elevating quality information and flagging inaccurate content over online platforms been effective in combating fake news? No, overall they fall short as these efforts are no match to the viral power of fake news. Quality journalism, while desirable, is expensive, not profitable, much slower and less sensational than fake news. Flagging and tagging inaccurate information doesn’t prevent fake news from being shared across social media platforms. As a result, efforts to boost quality journalism and flag inaccurate content by technological companies are being reduced to nothing more than mere PR exercises to reputation manage their role in aiding the spread of fake news. Combating fake news may therefore require a hard technological solution that may impact freedom of expression. Facebook has demonstrated this approach in several instances by taking down pages and blocking content. 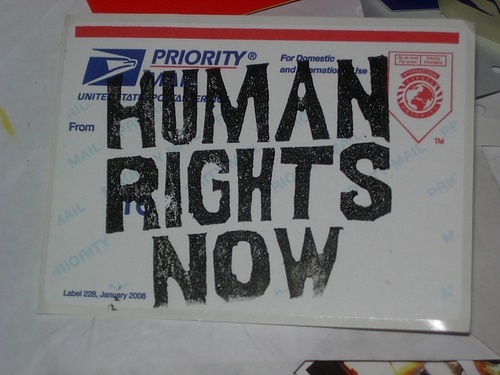 However, draconian restrictions, administered by technological companies and cheered on by governments, will have far-reaching consequences on freedom of expression. It is been said quality journalism will survive because there is always demand for the objective truth. However, in a post-truth environment fostered by online platforms that support niche media, it is a struggle for quality journalism to rise above fake news.